Sammy Buck is an Emmy winner for his work with TVLAND Digital and the book writer of the new Leonard Bernstein musical, Leonard Bernstein’s Cast Party. 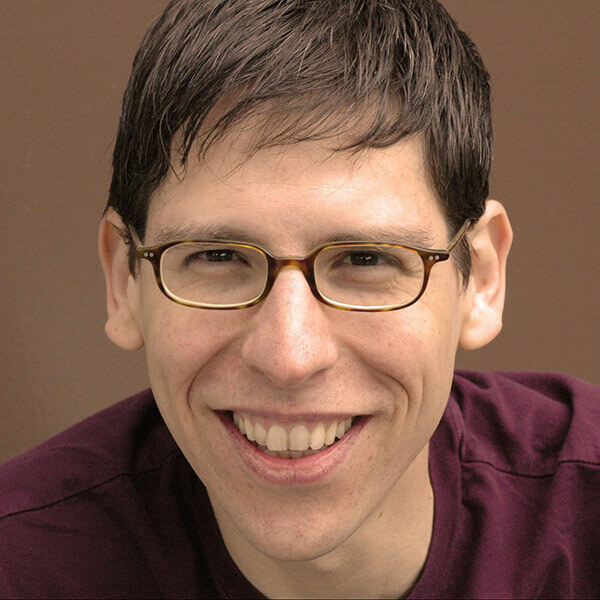 He has written seven shows with composer Dan Acquisto, most notably Like You Like It (Playscripts, 2009 NYIT Award: Best Musical) and StinkyKids The Musical (Vital Theatre, TRW, 2012 Off-Broadway Alliance Award: Best Family Show). With composer Brandon James Gwinn, he’s the co-lyricist / book writer of Small Town Story (NY Theatre Barn commission, Village Theatre’s Festival of New Musicals, NAMT Writers Residency Grant, Richard Rodgers Award Finalist). He’s also written a horror movie often seen on Showtime and Netflix–Red Hook (Phase 4 Films)–as well as two dance shows and a circus. He is also the creator of the seminar Structure! The Musical, or Everything You Need To Know About Musicals You Can Learn from Star Wars.His songs have been heard in concerts at 54 Below, the Laurie Beechman Theatre, the Duplex, New World Stages, Barrington Stage, The Metropolitan Room, Merkin Hall, and LA’s Rockwell Stage. Former Dramatists Guild Fellows, he and Dan Acquisto are the 2012 winners of the MAC Dottie Burman Award. Member of BMI and the Dramatists Guild, Inc. www.sammybuck.com.